Our Emergency Department is located in one of the fastest-growing communities in Osceola County, close to Walt Disney World entertainment complex and local attractions. The unit consists of 35 monitored beds, two trauma rooms, dedicated pediatric rooms, and is a certified stroke center. We have a 20-bed Critical Care Unit. The ICU team responds to the Rapid Response Team calls in a fast and efficient manner. Intensive Care serves all medical conditions and surgeries within a well-equipped and spacious unit featuring computerized documentation technology. Our facility also houses a 35-bed Progressive Care Unit. The PCU team responds to the Rapid Response Team calls in a fast and efficient manner. Progressive Care serves all medical conditions and surgeries within a well-equipped and spacious unit featuring computerized documentation technology. Floating may be required between the ICU and PCU like units based on census. 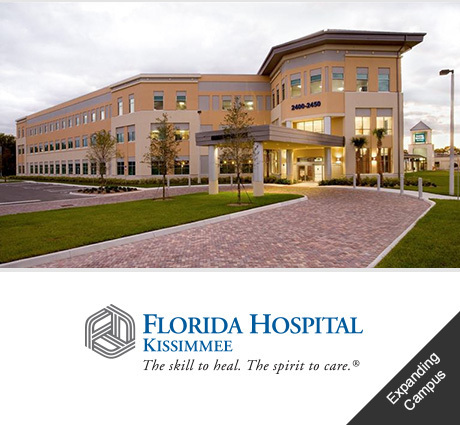 In addition, Florida Hospital Kissimmee operates a fast-paced, 40-bed, telemetry capable Medical/Surgical Unit. 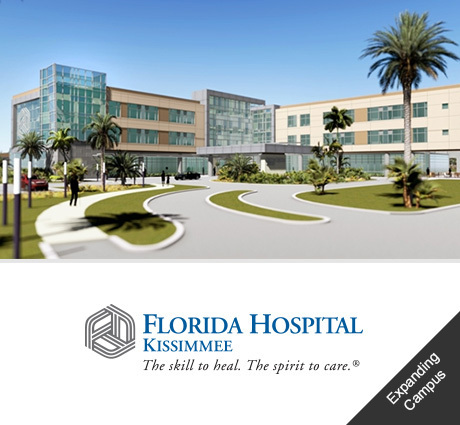 Thank you for your interest in joining the Florida Hospital Kissimmee team. We’re excited to share upcoming events and employment opportunities with you as we serve the community with our newly opened patient tower. 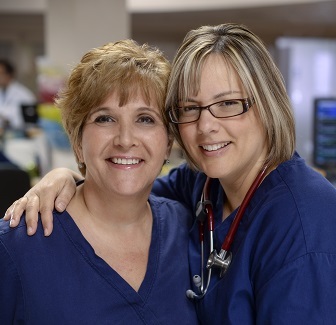 If you are an experienced experienced RN, please click on the Connect With Us button below. Provide your contact details here and include “RN” in the “current/last job” field so our recruiters can contact your right away! Must have least 1 year of recent RN hospital experience and live 50 miles from 601 E. Rollins Dr., Orlando, FL 32803 to qualify for bonus/relocation incentives. Complete bonus and/or relocation details will be available during the interview process. 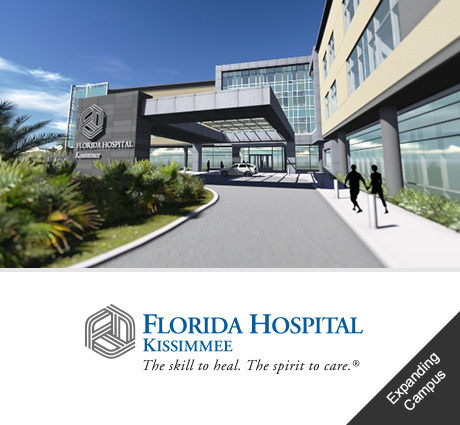 Centered in one of the fastest growing communities of the state, Florida Hospital Kissimmee has been a pillar of health and healing for more than three decades. An incredible place to visit and even better place to call home, the tight-knit family culture found in Kissimmee’s tree-lined neighborhoods is also the type of atmosphere our patients experience here in our hospital. Over the years, we have continually grown with our flourishing community and are committed to helping each and every resident and visitor alike maintain the utmost in whole body wellness—for the mind, body and spirit. 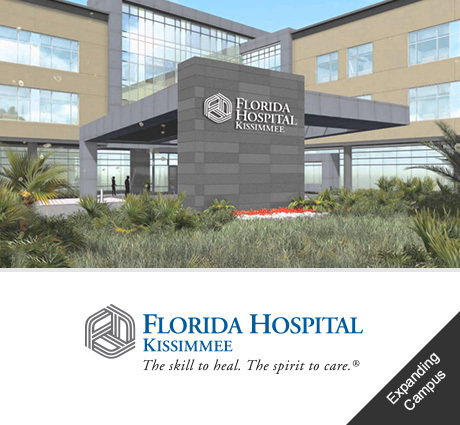 Florida Hospital Kissimmee is a 162-bed community-focused hospital, conveniently located near Walt Disney World. The team here is dedicated to bringing mission-focused, faith-based care to residents and visitors of Osceola and Orange Counties. At the heart of our latest expansion is a new, three-story tower featuring 80 expansive, private patient rooms and a host of modern amenities and technologies. Because we believe family support is an essential part of health and healing, we’ve included large, beautifully decorated family waiting areas with the comforts of home. Plus, each patient room includes ample space for visiting loved ones to relax, work and sleep.